Helps Stop the Cycle of Dry Skin 2 list-style-type:disc 2 Each bottle contains more than a jar of Olay reg; moisturizers 1 Soap-free formula rinses clean 4 Leaves skin feeling light and breathable nbsp; 3 Reveals radiant, more beautiful skin Olay Quench Body Wash goes beyond cleansing and visibly replenishes moisture in just one shower. 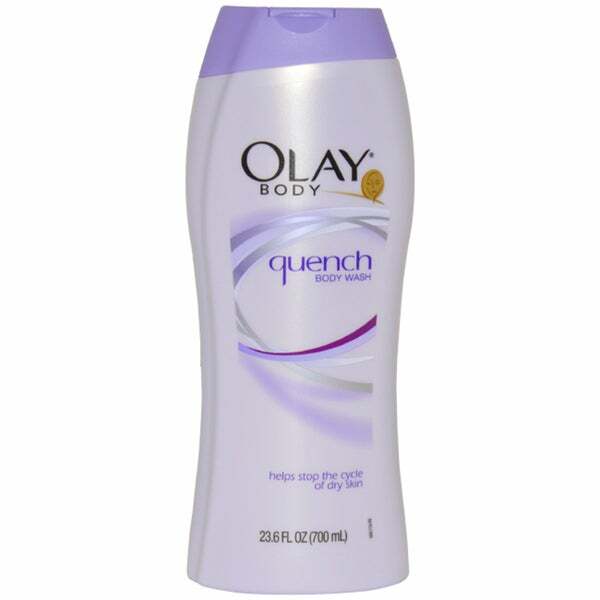 nbsp; You ll love Olay Quench Body Wash because it helps break the cycle of dry skin, conditions dry skin for up to 24 hours and contains a soap-free formula that rinses clean, leaving no residue. Olay Daily Moisture Quench Body Wash - 23.6 oz.